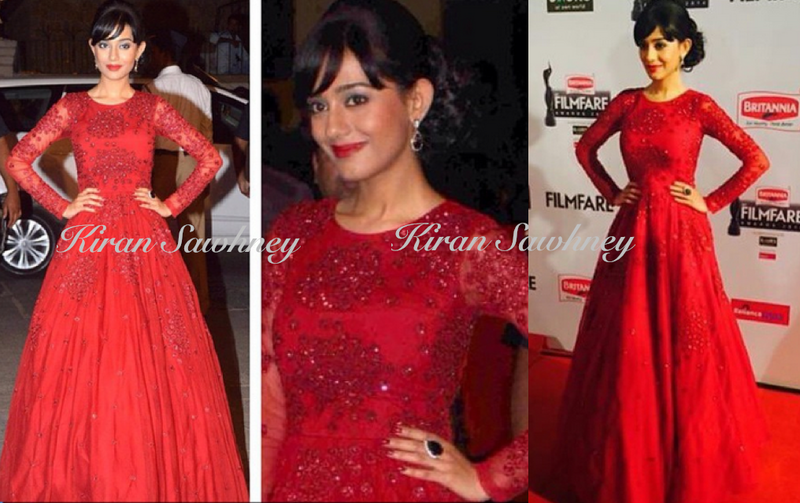 Amrita Rao walked the red carpet in red, embellished Astha Narang gown. She applied red lips, red cheeks and blue eyeshadow. She finished the look with red ruby ring and earrings. Red outfit on red carpet. Red lipstick and blue eyeshadow is big no no. We have to give this one a miss.